India has by far the highest number of women deaths during childbirth in the world with 56,000 in 2010. Latest estimates show that one woman dies every five minutes while delivering a child in the country. Health centres, especially in rural areas, are scarce, distant and are of poor quality, short-staffed and ill-equipped. Private hospitals, located in urban areas, are improved but are unaffordable for most families. Under the government's National Rural Health Mission, Community Delivery Centres were established to cater to all the needs of women, especially those from remote areas. 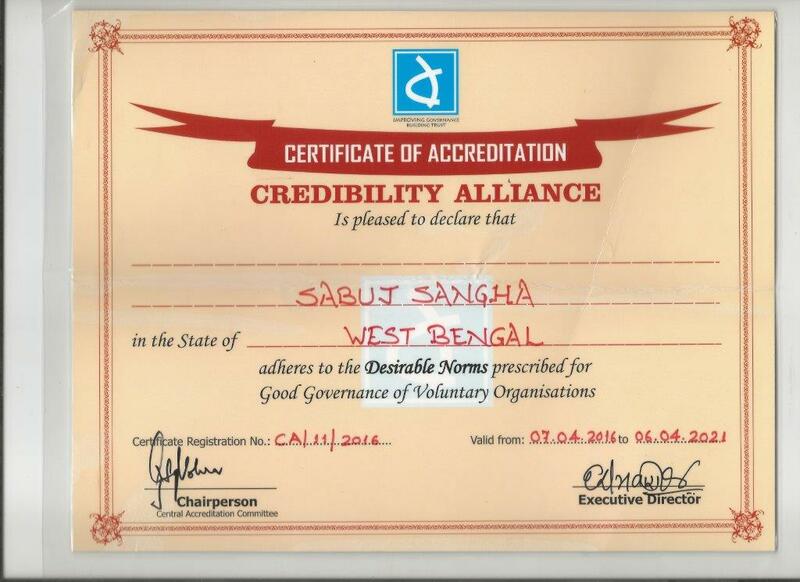 Our Outreach Centre (ORC) in Herambagopalpur, West Bengal was recognized as a Community Delivery Centre in 2009. We have been providing doorstep support to pregnant women in the area. Additionally, a range of general health and hygiene camps as well as specific maternal and child health camps are conducted to improve overall constitution in these communities. All donations made towards this project will directly benefit over 8000 women and their children living in this region. 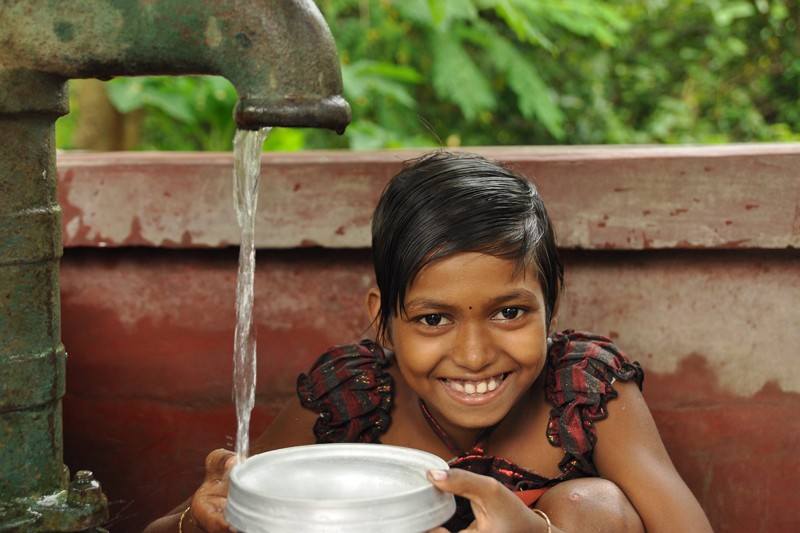 In India, over 122 million households do not have toilets. The absence of proper latrines, especially in rural areas, leads to various infections as defecation in open spaces spreads disease and bacteria. 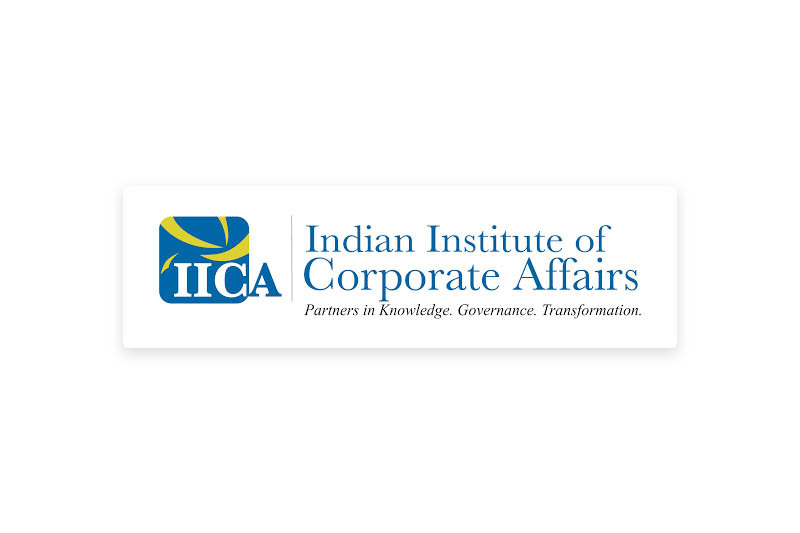 Also, a recent report stated that of all the 28 states in India, 25 are drinking unsafe water, with one out of every five children contracting infections. We have a Water, Sanitation and Hygiene (WASH) programme which ensures clean and safe drinking water and proper toilets to people in the area. We have built over 510 toilets, which includes separate lavatories for boys and girls in schools as girls often avoid attending in the absence of gender segregated bathrooms. We have also installed hand pumps and tube wells in 12 Gram Panchayats, spread across two blocks. The ratio of consumers to a water source is 250:1 in our target area. With a total number of over 4500 beneficiaries, our project will make sure a simple basic right such as drinking water and proper toilets are provided to as many people as possible. 53% of children in India under the age of 10 do not receive any formal education. In the majority of cases this is because families simply cannot afford to send their children to school. Children who do manage to receive non-formal education are treated unequally and fall behind when it comes to job opportunities compared with students who attend formal school. 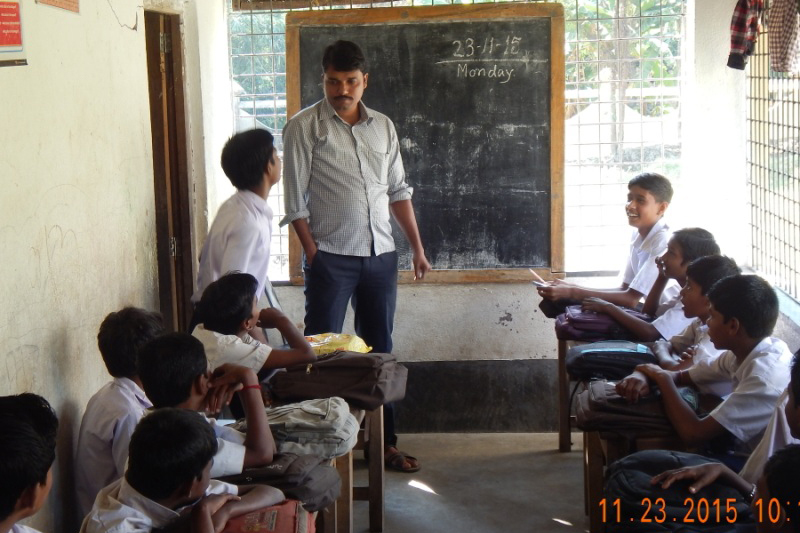 Since 2008, we have been running the National Child Labour School. The school was initiated under the Government of India's National Child Labour Programme (NCLP) and prioritises placing child labourers into formal schools. All children receive monthly allowances, vocational training, and midday meals. We also provide regular health check-ups. From our last group, 16 students were tutored and admitted into formal school. Rs. 1200 is all that it takes to give a child labourer a new positive direction. The deltaic region of Sundarbans is very much prone to natural calamities like tidal surge, breach of river embankments, cyclone, flood etc. The inhabitants mostly living in abject poverty are struggling for survival and combating against natural calamity which leads to trafficking, child labour etc. Due to lack of proper school first generation learners were deprived of education and therefore failed to understand the significance of education. At the same time, abject poverty has been a reason of not sending them to school. As a result, they are engging their children into various income generation activities. 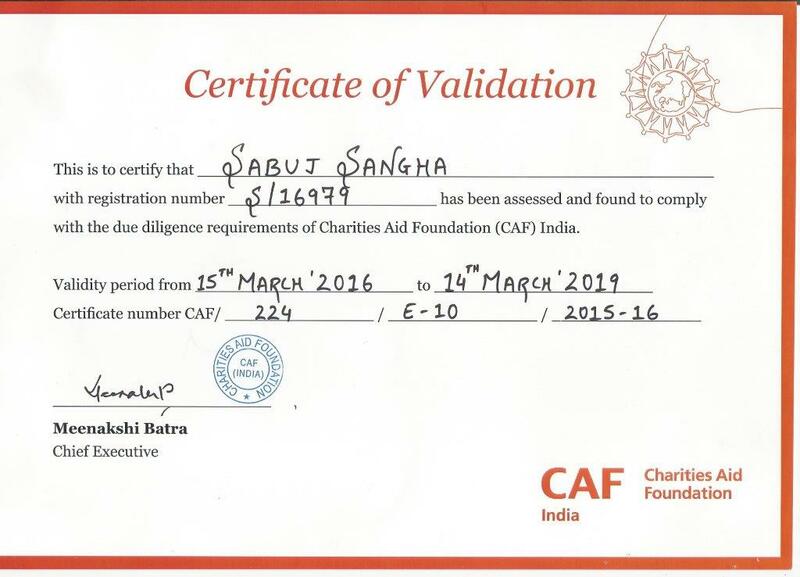 Sabuj Sangha intended to ensure quality education of the underprivileged children in Sundarbans; . 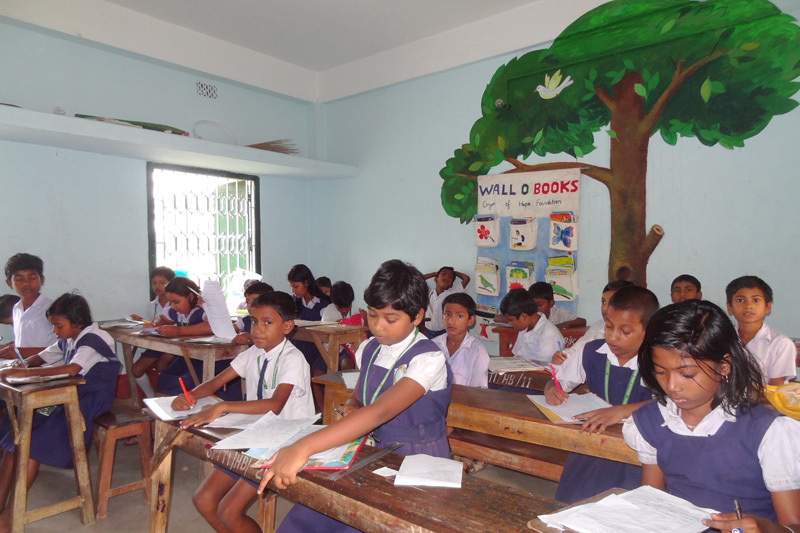 The school is affiliated by the Government of West Bengal, but un-aided. Total 187 children are presently studying in pre-primary to upper primary classes up to class VIII and the students are taught by 13 teachers (male 8, female 5) . Proper teacher pupil ratio (1:25), Use of TLMs is aiming at creation of a positive fun that is imperative of modern scientific approach of joyful learning. Children are the future of the Nation, but without education it is useless. Education is the foundation of a human being. In this school the children will get education from their very childhood also their right will be established. As an outcome, knowledge, skill, capacity and confidence level of the children will be improved as well as the initiative will be effective developing moral character and personality. The Public Health System in Sundarban is extremely inadequate. It is neither dependable nor accessible leading to extreme severity to the health scenario. 16% of sub centers are non-functioning; 65.6% women and 62.5% pregnant women are anaemic; 62% girls get married before 18 years of age and 30% of these women deliver their first child before 19 years of age. Majority of PHC & BPHC do not cater for common ailments like geriatric, dental, ophthalmology problem etc. We will provide affordable quality services on curative & preventive health to 83,403 people in Patharpratima and Mathurapur-II Blocks, All services will be provided at subsidised rate ensuring accessibility and affordability for the community. Through its Health & Training Centre and Mobile Medical Clinic, Sabuj Sangha will ensure safe motherhood in the Region and reducing maternal and infant mortalities by 10% and other common ailments as well. As an effect of Project interventions, health seeking behavior will be enhanced among community; community will access affordable and quality health services at their doorsteps. Good health status of people will create a positive impact on livelihood, saving loss of man days. It will also reduce drop - out rates, child labour and early marriage and thus ensuring quality education. Replicable and scalable health service delivery model will also be established.